This unique sweeping oval chandelier gracefully addresses the problem when trying to fit a round fixture over a oval or rectangular table. 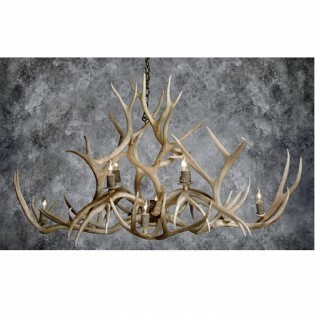 8 Lights rest atop this beautiful chandelier. Quality craftsmanship to insure generations of enjoyment. This unique sweeping oval chandelier gracefully addresses the problem when trying to fit a round fixture over a oval or rectangular table. 8 Lights rest atop this beautiful chandelier. Quality craftsmanship to insure generations of enjoyment. 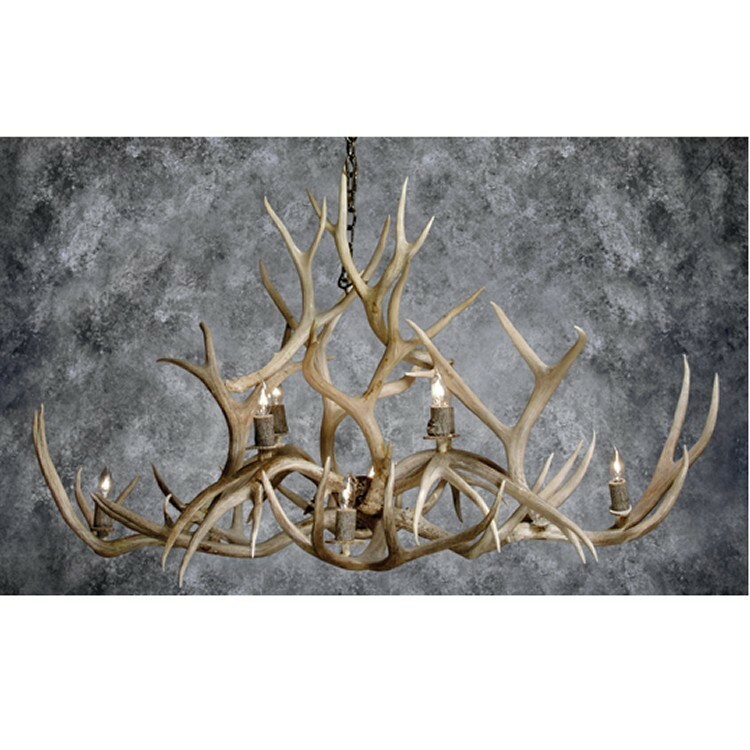 Unlike other fixtures antlers are used throughout including the holders and drip dishes for the sockets. Internally wired. 36" W x 54" L x 30" H. Ships in approx 1-2 weeks.